Every day millions of people across the country pack a lunch to take to work or school for three primary reasons: economics; nutrition and weight management. Economics: According to the National Restaurant Association, the average American ages eight and up eats out at least four times a week. Half of those meals are eaten at lunch. Young adults under age 27, called “Generation Y,” eat out as many as 30 times a week! It’s become a lifestyle. Taking a bag lunch from home can save both money and time compared to eating out in a restaurant or cafeteria. Here are some tips for planning and packing lunches from home that are thrifty, nutritious, tasty, and safe to eat. Money: A bag lunch is usually cheaper than eating out. Let’s say that you eat out for lunch twice a week, and the average cost of your meal and beverage is $8. You can save $16 per week, or up to $800 a year, minus the cost of your homemade lunch. The savings will be greater if you eat more home-prepared meals every week. Keep lunch costs low by following these practices. Eat “planned over’s” from last night’s dinner (e.g. chili, soup, pizza, pasta casserole, spaghetti, and leftover meats for sandwiches). Make enough lunches at one time for a whole week. Cook large batches of soups and stews and freeze in portion-size containers. Buy only the amount of food that can be used in a reasonable amount of time. Although buying large quantities may cost less, you won’t save money if the food goes to waste before it is eaten. Check the unit price of lunch items to make sure a store “special” is really a bargain. Buy items in bulk (e.g. fruits, vegetables, cheese, crackers, trail mix and baked chips) and package them yourself in snack-sized self-sealing bags. Pack enough for the entire week and store. Commercially-packaged single servings of these items can be expensive. Remember that you must make wise choices. Otherwise, you could spend just as much on lunches made at home as you would to eat out. Time: A bag lunch is a time saver. You don’t have to stand in line at the cafeteria, drive to the fast food place or sandwich shop, or wait for your food to be served in a restaurant. That gives you spare time to relax, run errands, take a walk, check email or surf the web. Mornings are rushed for most families. Here are some time-saving tips for easier lunch preparation. 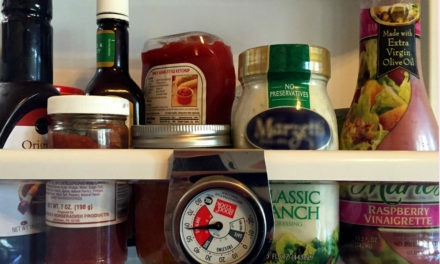 Designate a spot in the refrigerator to store lunch items. Stock your pantry with lunch-friendly ideas (e.g. unsweetened canned fruits, dried fruits, 100% fruit juice boxes, canned meats, granola bars and individual pudding cups). Set aside a drawer or cabinet for storing lunch supplies (e.g. assorted plastic containers with tight fitting lids, sandwich bags, disposable forks and spoons, plastic wrap and aluminum foil). Make several individual “grab and go” containers or plastic bags of cut up vegetables at the beginning of the week. Make your sandwich the night before. It can be refrigerated or frozen. To keep it from getting soggy, pack lettuce, tomato and other moist foods in a separate container. Then add them to the sandwich just before eating it. When storing dinner leftovers, pack a serving in a separate container for tomorrow’s lunch. Put that container in the “lunch” section of the refrigerator. If you have coworkers who share your same tastes in food, consider participating in a lunch-pool with four of them. You only have to make lunch for everyone one day a week. Making five of the same lunches at once is quicker and easier than making five different lunches each day. Nutrition: Lunch should provide you with one-third of the day’s nutritional needs. Avoid the temptation to skip lunch. The mid-day meal fuels the body throughout the afternoon just as breakfast gets you through the morning. To control the foods and nutrients you eat, take a bag lunch to work or school. Lunch choices can make a big difference in the total calories, fat, saturated fat, fiber, sugar and sodium you consume daily and weekly. Enjoy a variety of foods, and try to include a serving from all five food groups: fruits; vegetables; grains; protein and dairy. If that’s not possible, then get a serving from at least three of the food groups. Whole grains are more nutritious and contain more fiber than white bread and highly processed grains. Deeply colored fruits and vegetables contain the most vitamins, minerals and antioxidants. 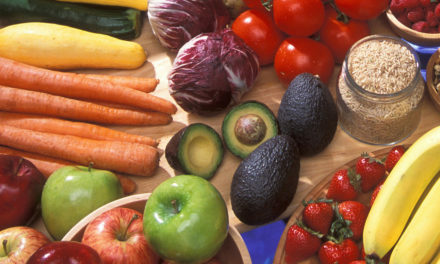 Fruits, vegetables and whole-grain breads are good sources of fiber. Meats and beans provide protein, while milk and milk products are excellent sources of calcium. Eat only small amounts of high-fat foods (e.g. fatty meats, butter, margarine, mayonnaise and sour cream). Avoid caloric beverages and save your calories for food. Sodas and other high-sugar, high-calorie drinks contain empty calories and no nutrients. Diet sodas, coffee and tea have few calories and nutrients. Weight Management: Americans consume one-third of daily calories outside the home. In 2000, the average American consumed 300 more calories daily than just 15 years earlier. In recent years more people also have become overweight or obese. Could eating out be contributing to this problem? When you eat out, you typically don’t know exactly how much fat, sugar and calories are in foods. By packing your own lunch, you can control the content of your meal and portion sizes. Cutting back on the number of times you eat out may result in savings to your waistline as well as to your wallet! In addition, eating a high quality protein can help stabilize your blood sugar level and keep you feeling fuller for longer. According to recent studies, liquid calories don’t contribute to feeling full as much as calories from solid foods do. Lunch should include a variety of nutritious foods from USDA’s MyPlate. Recommended amounts vary depending on gender, age, weight and activity level. Refer to ChooseMyPlate.gov for tips on making better food choices. Include at least three MyPlate food groups. The beverage can count toward this amount. Dessert is an optional lunch item. Protein: Good choices from the protein group include: lean turkey, ham or roast beef; tuna; dry beans; hard-cooked eggs; peanut butter; nuts; soups and chili. Grains: This includes breads, cereals, pasta, crackers and rice. Make at least half your choices whole grains, because they contain more nutrition and fiber. Choose breads with “whole wheat” listed as the first ingredient. Fruits & Vegetables: These are naturally low in fat and filled with nutrients and fiber. Choose fresh fruits and vegetables that are easy to carry and eat. Deeply colored fruits and vegetables contain the most vitamins, minerals and antioxidants. For variety, alternate raw and cooked vegetables. Delicious choices include: raw baby carrots; pepper sticks (especially red); cherry tomatoes; broccoli; cauliflower; sliced cucumbers and celery. Favorite cooked vegetables include: string beans; broccoli; sugar snap peas; and corn on the cob. Vegetable juices are excellent alternatives. Popular fresh fruits include: apples; bananas; grapes; blueberries; peaches; plums; clementines and oranges. Fruits canned in juice rather than syrup also are good choices. Calcium: If milk is not your beverage, try to pack calcium-rich foods like low-fat varieties of yogurt, cottage cheese or cheese in bite-size chunks. Beverage: Drinks can contribute to the five food groups. Choose a beverage that contains nutrients such as protein, calcium, vitamin D (low-fat milk), vitamin C and folic acid (100% orange juice). Good beverage choices are: low-fat milk in single serving bottles; vegetable juices; 100% fruit juices; drinkable yogurt, and smoothies made with low-fat yogurt. Vegetable juices supply important nutrients, but their sodium content may be very high and should be balanced with low-sodium foods. Plain water also is a very refreshing, calorie-free beverage. Low-calorie flavored water is a good alternative to a high-calorie soda or juice drink. Skip the sodas, energy drinks, fruit punch and fruit beverages, which may contain only 10% juice. Make your own punch by mixing several types of 100% fruit juices. Twelve ounces of fruit drink, ade or punch often contain corn syrup and other sugars equal to about 12 teaspoons of table sugar. Twelve ounces of soda contain the equivalent of about 9 teaspoons of sugar. To keep beverages cold, use an insulated thermos or put an ice pack in the lunch box. Or, you can freeze them the night before, and they will be thawed but still cold at lunchtime. Daily Fluid Need: For regular hydration, active children and adults generally need 1 milliliter (ml) of water and other liquids for every calorie burned during the day. This means someone who maintains body weight on 2,000 calories a day also needs 2,000 mls of water and other liquids. Divide this by 240, which is about the number of mls in a cup (2,000 ÷ 240 = 8.33). So, this person should drink about 8⅓ cups a day. Dessert: Dessert can be a nutritious part of your lunch. Choose desserts (and beverages) low in fats, added sugars and other caloric sweeteners. For example, eat fresh fruits (e.g. melon, grapes, apple slices) instead of candy bars or high-fat cookies. Graham crackers, vanilla wafers and oatmeal-raisin cookies also are good choices. If you crave an occasional sweet “treat,” then have only a small portion. Eat a couple of chocolate kisses or a small handful of chocolate chip morsels. Limit treats to no more than 150 calories. It doesn’t take much to satisfy the sweet tooth! Avoid boring, routine lunches by varying the texture, flavor, color and temperature of foods. Texture: Offer crunchy and smooth foods in the same lunch. Nuts and sunflower seeds add crunch appeal to salads, soups and sandwiches. Flavor: Contrast stronger flavors with mild ones. If your sandwiches have become boring, add one of these new condiments: sun-dried tomato spread, horseradish, Chinese mustard, spreadable goat cheese or Caesar salad dressing. Color: Add a variety of interesting colors with foods like these fruits and vegetables: red and green peppers; black olives; tomato and grated cheese; red onion; oranges; cilantro, and fresh vegetable relish. Temperature: Include foods of contrasting temperatures, but make sure hot foods are kept hot and cold foods are cold at mealtime for safety. Here are some pointers for packing appetizing lunches. Sandwiches can be prepared ahead of time and frozen. Take sandwiches out of the freezer in the morning and pack them. Non-perishable foods can be packed the night before. Line pita pocket bread with Swiss cheese and stuff with vegetables just before eating. This makes a delicious sandwich. Use whole wheat bread or bagels for making sandwiches, or stuff pita bread with your favorite filling. Create a “wrap” with a slice of your favorite bread (softer breads work best). Put a slice of your favorite low-fat lunch meat and cheese on the bread and roll up tightly. Make sure the edges of the bread are pressed tightly to seal. Try hummus (chickpeas) for a tasty sandwich spread alternative. Combine peanut butter, honey, and banana slices on whole wheat bread, or use peanut butter with apple chunks on raisin bread. Don’t limit lunch to just sandwiches. Use leftover casseroles, pizza, soups, chili and other dishes. A popular children’s lunch treat includes pre-packaged crackers and lunch meat. You can make your own healthy alternative by packing low-fat crackers, low-fat lunch meat, a piece of fruit, and a box of 100% juice. You can even buy divided containers for them. If you carry a salad, put the dressing in a separate container and add it just before lunch. Gently toss steamed vegetables left from last night’s dinner in Italian dressing. Refrigerate them in a “toss away bowl.” Serve as a salad with whole wheat crackers and low-fat cheese, or use with turkey in a pita pocket. Marinate some cut-up fruit in orange juice. Add dried mint to suit your taste. Pack into a melon half or other “edible bowl.” Top with a dollop of yogurt and serve with graham crackers. Divide a large container of low-fat yogurt into smaller containers. For different flavors, add a variety of fruits, jelly, honey, nuts or granola. Involve Family Members: Let family members help decide what to pack and help you prepare it. If they are involved, they are more likely to eat their lunch, including any new foods that are nutritious and healthy. Pack Extra Snacks: A common mistake is not packing enough food. In addition to lunch, pack a few items for an afternoon snack or to eat as you head home. Good choices include: favorite vegetables with low-fat dressing for dip; an egg; yogurt; a handful of nuts; a few slices of lean lunch meat; string cheese; a granola bar or fruit. Snacking on one or more nutritious foods keeps you from being tempted to fill up on junk food from the vending machine or eat the entire contents of your refrigerator before dinner. Visualize Each Food: Think of what each food will look, feel and taste like by lunchtime. If it’s messy, mushy or smelly, it’s headed for the trash can. Food thrown away wastes money and time spent preparing it. Don’t risk food safety just to save money. When food is prepared ahead and eaten at a later time, food safety is always an issue. All perishable foods must be handled properly to prevent foodborne illness. First, wash your hands thoroughly using hot, soapy water. Clean all food preparation surfaces and utensils before and after use. Wash all fresh fruits and vegetables before packing into your lunchbox. Be aware of food allergies, and avoid cross-contamination from items that may cause an allergic reaction. When preparing food for someone who has a peanut allergy, for example, don’t use the same utensils that are used with peanuts or peanut butter. This includes knives, containers, cutting boards and serving utensils. Many foods are safe to pack without refrigeration. This includes foods such as: peanut butter; breads, bagels and English muffins; dried fruit; fresh fruits and vegetables; nuts and seeds; unopened cans of fruit and pudding; pretzels, popcorn and crackers; canned and bottled juices; and canned meat, poultry and fish that can be opened and eaten immediately. Store lunches at the correct temperature. Keep foods out of the danger zone, which is between 40 °F and 140 °F. Bacteria grow and multiply quickly between these temperatures. Keep hot foods hot in an insulated bottle, and don’t open it until lunch. If no refrigeration is available, use an insulated lunch box or bag, freeze your beverage, or use a freezer gel pack to keep cold foods below 40 °F. If using paper bags, refrigerate your lunch as soon as you arrive at work. Paper bags don’t maintain the temperature of perishable foods as well as insulated bags and boxes. Use only paper bags designed for lunches, and use them only one time. Wash hands before eating, or pack a hand sanitizer or moist towelette. After lunch throw away all perishable foods, unless you can keep them at a safe temperature. Wash your lunch box every day after use. 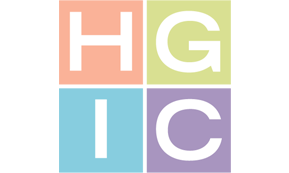 Refer to HGIC 4114, Packing Lunches for School-Age Kids for more bag lunch ideas for children and adults, as well as recipes to liven up the lunchbox. For more food safety tips, refer to HGIC 3600, Bag Lunch Safety.